But we can learn a lot from Oaxaca and Mexico City as they nail a number of fundamentals in “good urbanism” and are home to some really innovative programs and ideas. This is the first of two posts documenting my experiences in both cities. You can see Part II: Mexico City here. Standing as the capital of the State of Oaxaca, this little gem of a city wears the European stylings of its core very well. Among a cluster of cafes, bustling public squares, art galleries, diverse food vendors, and narrow streets, you’ll find old churches and gardens influenced by Spanish architecture that serve as nodes of street life. These historical monuments are hubs of social activity that energize the rest of the city with culture and are highly walkable and notable in their absence of cars. 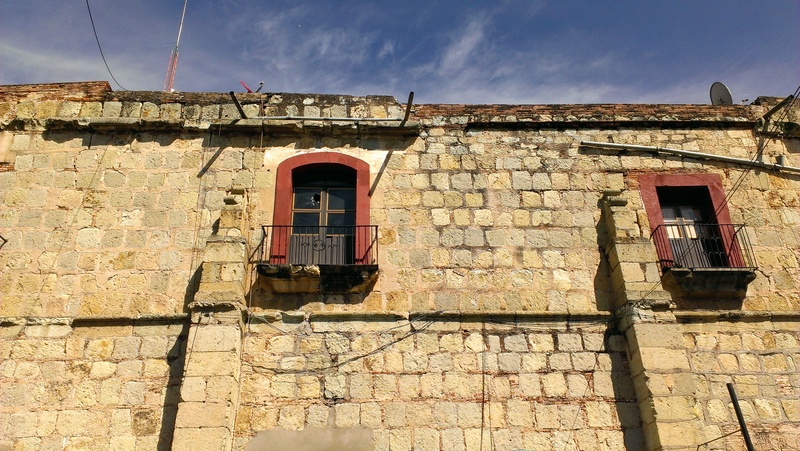 Oaxaca City’s core is compact and characterized by density and mixed land use. While there aren’t many (any?) tall buildings, you’ll find a lot of residences and businesses in a small area. Contiguous two and three story buildings with courtyards are separated by narrow streets and little in the way of car parking. 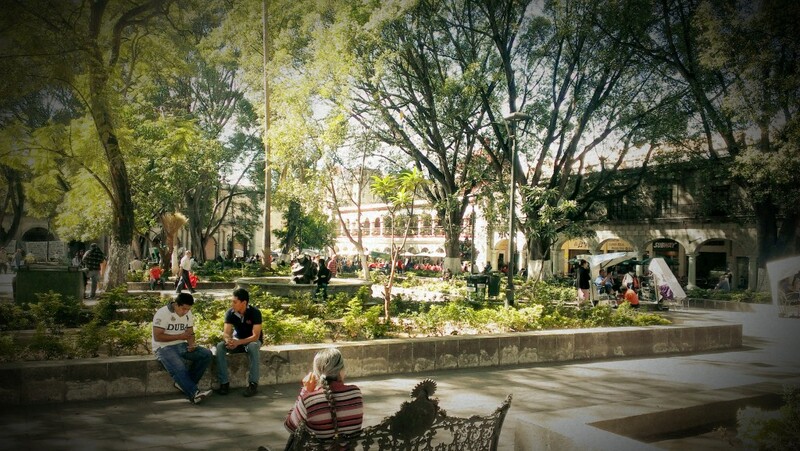 As mentioned, big swathes of the “downtown” are off limits to vehicular traffic and see people gather to socialize, eat, drink, perform arts, and conduct business—these “zocalos” are the quintessential public squares and offer a stage for citizens to interact and travel without the threat and inconvenience of dealing with cars. Aside from this sense of freedom of walking without the worry of automobiles, these pedestrian areas offer a sense of security in that large crowds dissuade street crime. That’s not to say crime isn’t a major problem in Mexico, but the secure feeling of “safety in numbers” definitely rings true in Oaxaca City. While this infrastructure is part of the equation in fostering a vibrant street life culture, the other component is regulations (or lack thereof) that allow street food vendors and performers to set up shop in a fluid manner. The sights, smells, and tastes of dozens of vendors selling tacos, barbecued corn, sweets, mescal (a cousin to tequila), and other goods late into the night is irresistible and a big tourist draw. When I say fluid I mean that these vendors literally move around throughout the day and night as business ebbs and flows—their ‘shops’ are often on cargo bikes or carts. The compact nature of Oaxaca City’s pedestrian areas and street food and entertainment bring people out and foster a real sense of community. Another piece to this urban form that deserves mention is the courtyards: most every block in the core has several large courtyards that are open to the public and hold interesting plazas and retail shops. The satisfaction of finding and using these areas adds yet another layer to the exploration of the city. 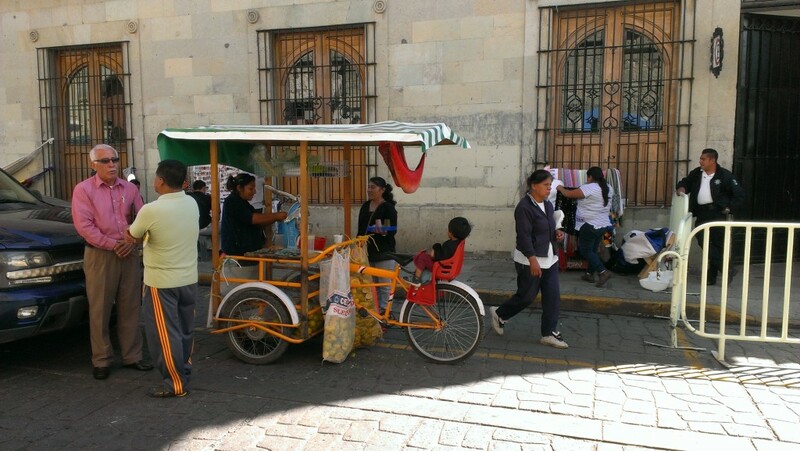 While I’m always curious as to why bikes aren’t more popular in Mexico, given the high price of fuel and many land use advantages, Oaxaca City is home to an active bike culture and some interesting cycling infrastructure. 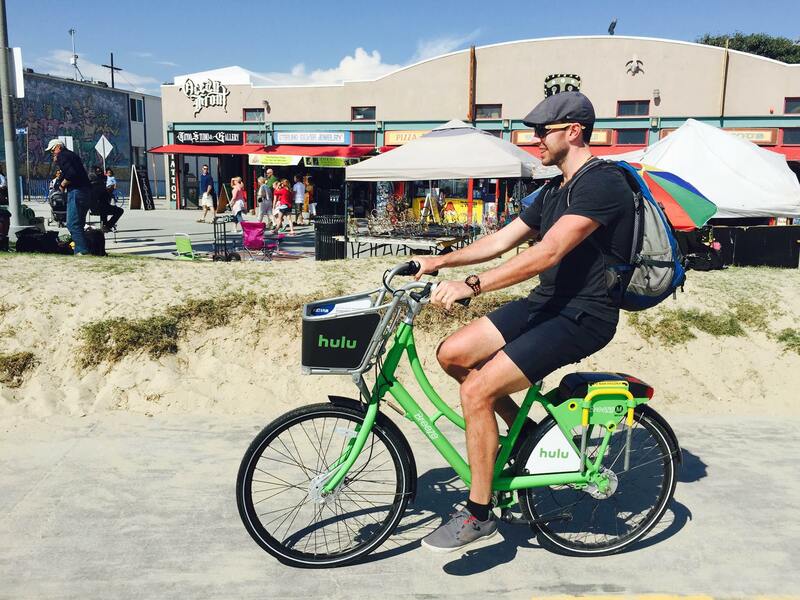 That’s not to say it’s necessarily a great place to cycle, but it has a few cool things going for it. I need not mention the lack of mandatory helmet laws, which you’d expect in Mexico. 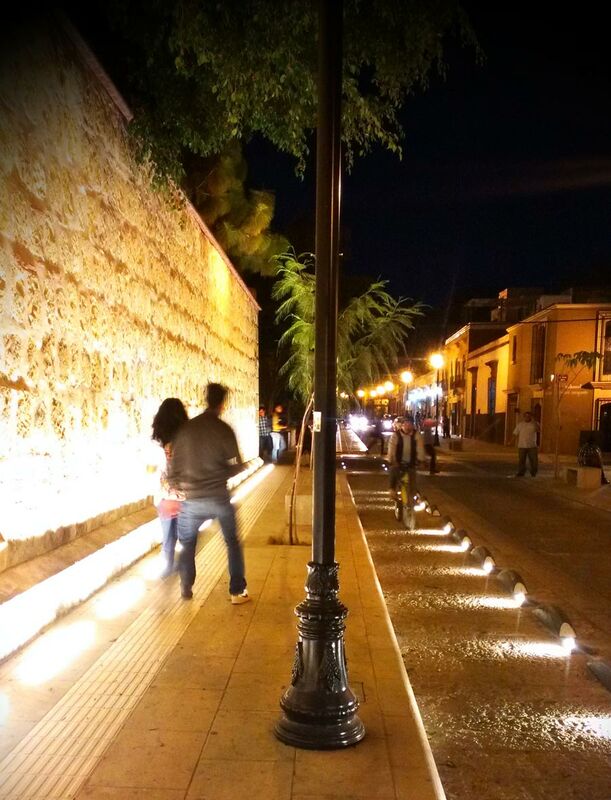 The most surprising element of biking in Oaxaca are short lengths of highly lit separated bike lanes that exist beside equally well-lit pedestrian walkways. What’s surprising about these lanes is that they’re lit from the ground up and foster a great sense of security. I’ve never seen bike lanes like this and these golden paths are inviting to use; this infrastructure would be more than welcome in Vancouver during the rainy seasons. 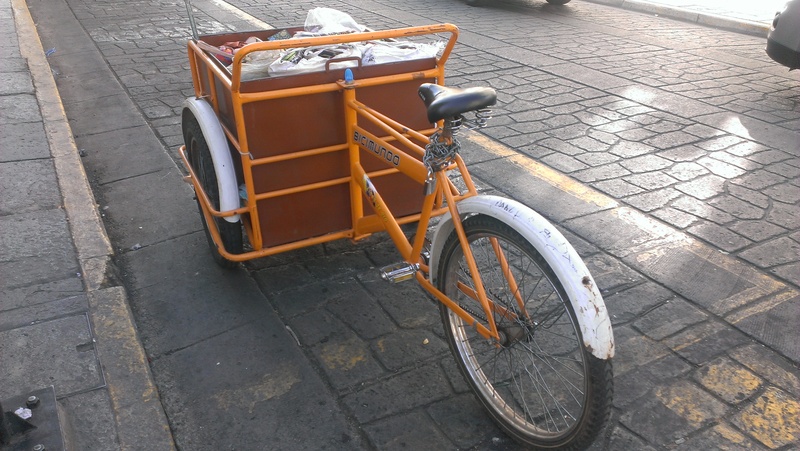 Another impressive piece of cycling in Oaxaca City is the prevalence of cargo bikes. They’re around nearly every major street corner and plaza and come in an infinite array of shapes, sizes, and colours. Most often they’re put to commercial retail use but I saw many used as cargo carriers; they have a distinct advantage over cars given the compact nature of the downtown and the often narrow roadways. 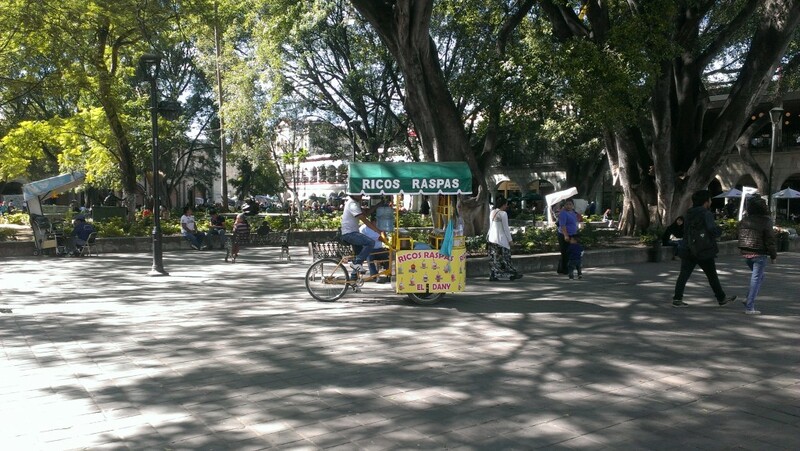 Lastly, Oaxaca City is also home to the cycling NGO Mundo Ceiba A.C., which has a shop behind the main square, and does a lot to educate the public and get people out on bikes. Mainly they lead an incredible free group bike ride on Wednesday, Friday, Saturday, and Sunday nights (running 9:00 – 10:30 PM). Starting in front of the Church of Santo Domingo de Guzmán, the tour leader, with a massive cart-pulled sound system, will guide the group around the city’s streets while police motorbikes bring up the rear. It’s truly a unique experience and I highly recommend it! Check out the video below—I shot it while taking a break from the ride. 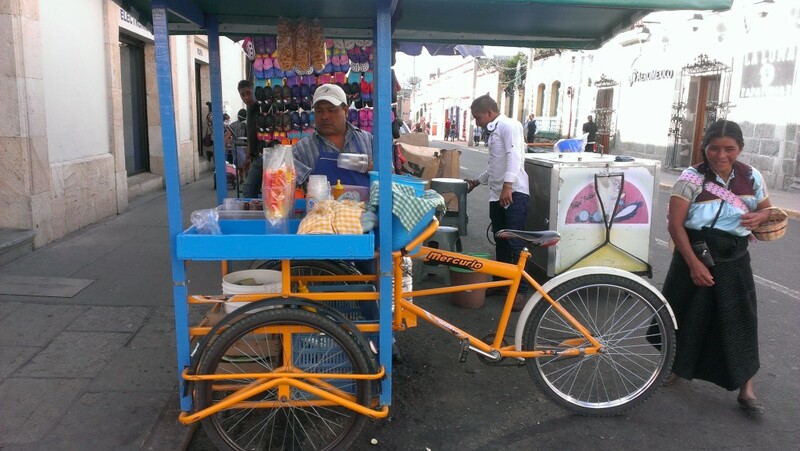 If you don’t have a bike, Mundo Ceiba A.C. rents bicycles for around 60 pesos. The group ride is a fantastic public service, and is supported by the municipality, and the bike shop/NGO has a nice little side business in renting the bikes out—why don’t more shops in other cities do this? What a great way to foster a sense community and promote bike culture while generating some revenue. Mundo Ceiba also has a coffee shop and bike book library in the back of the shop. 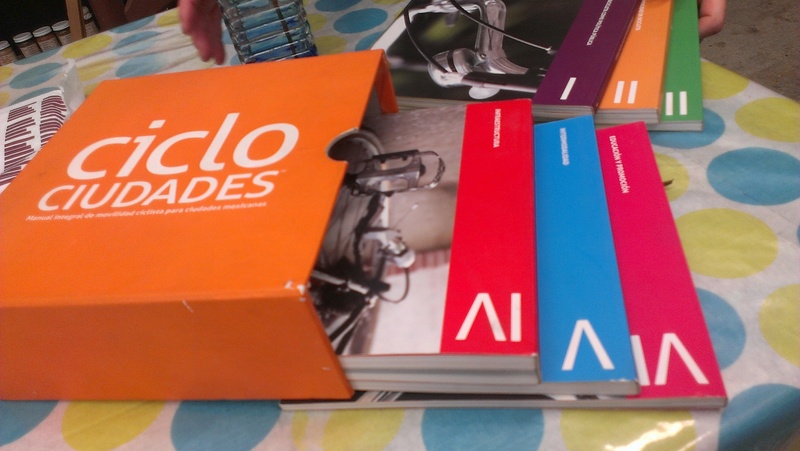 Included in the library is a really interesting set of what could best be described as textbooks for cycling in Mexico. Interestingly, the book series is sponsored by the Dutch government, and includes information on cycling best practices, urban planning, education, environment, and economics. 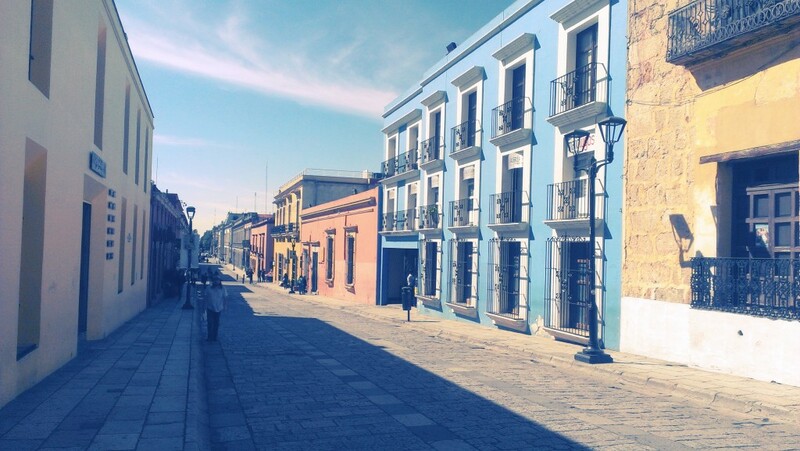 Oaxaca City is old school in its emphasis on the pedestrian experience in its core and promotes social activity through city design. While it’s lacking in a lot of good street biking infrastructure, the cycling culture is interesting to say the least. Photos: Taken by me, they’re available on Flickr. Feel free to use!